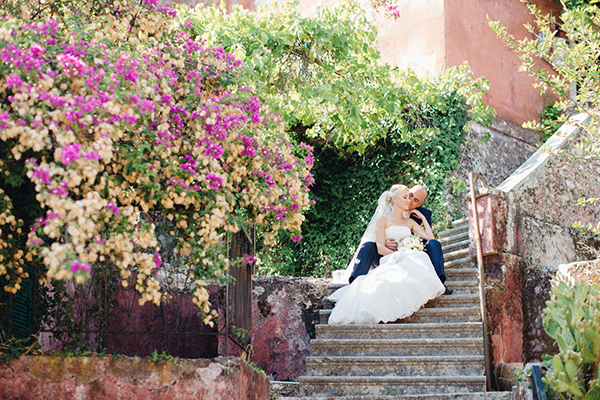 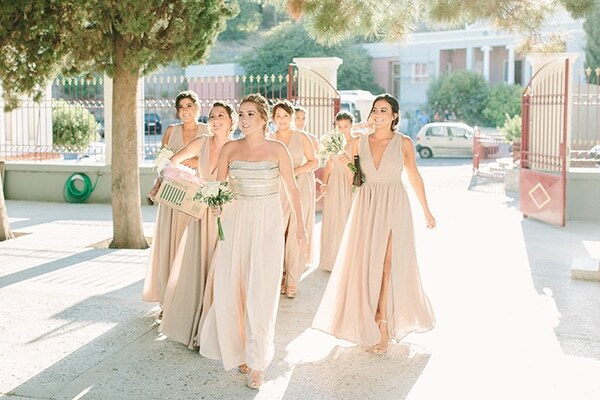 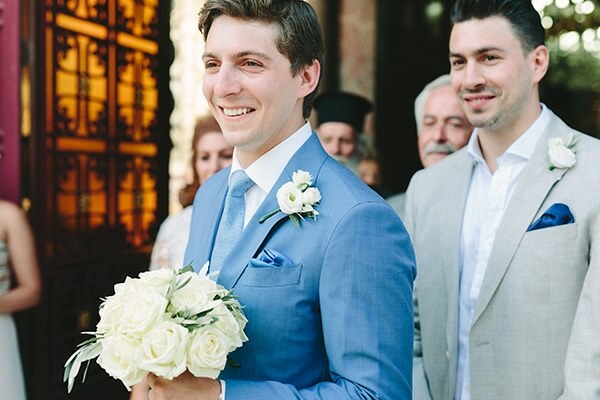 This couple’s wedding style is soft, delicate and romantic and we’re in love! 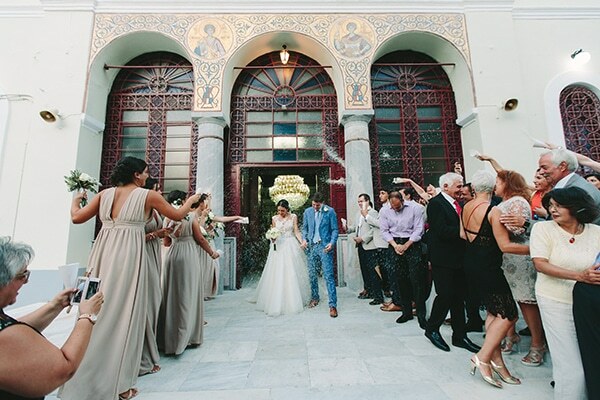 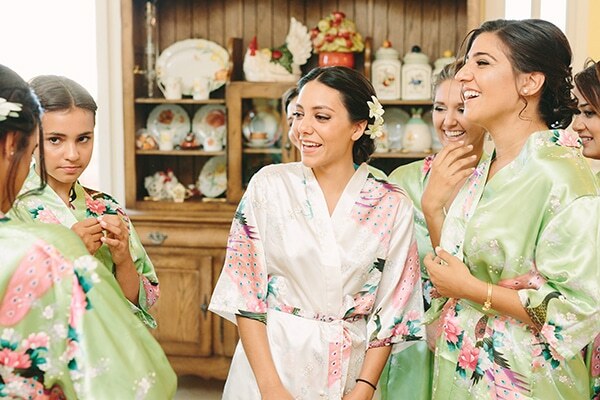 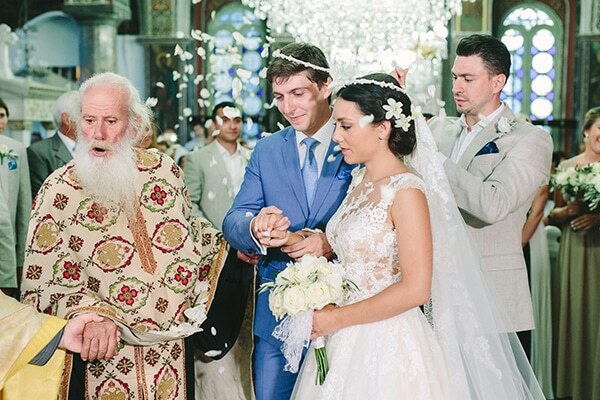 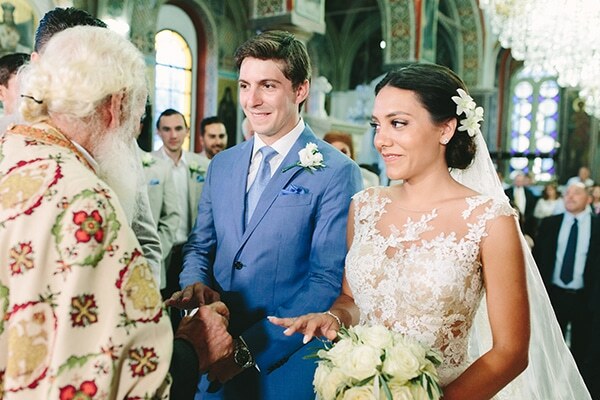 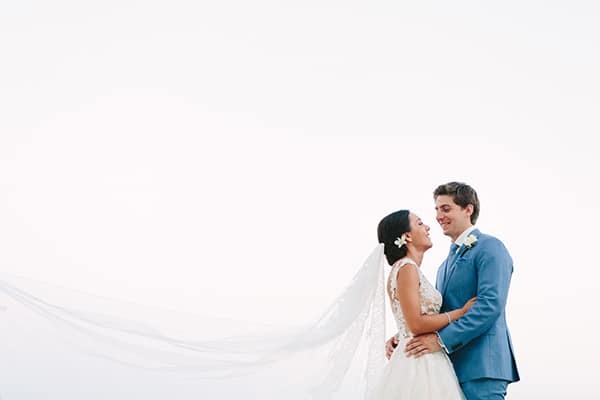 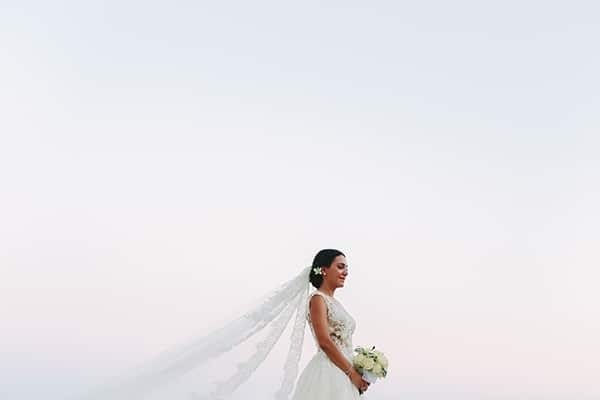 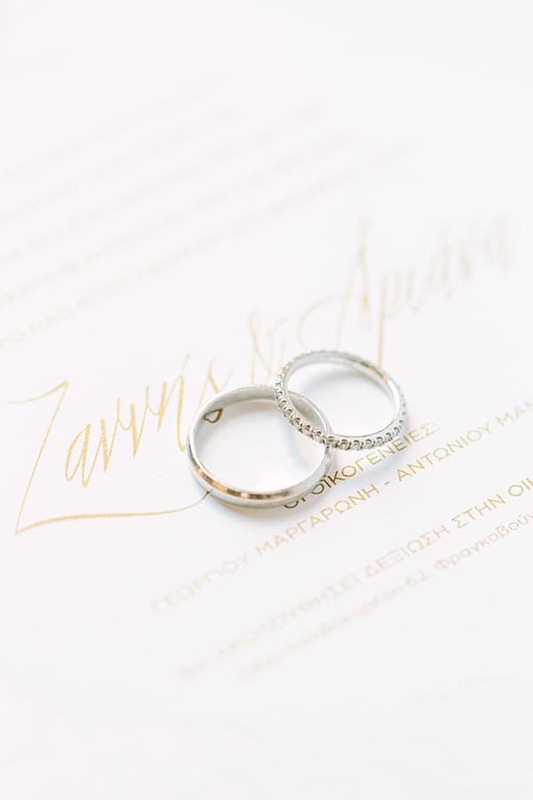 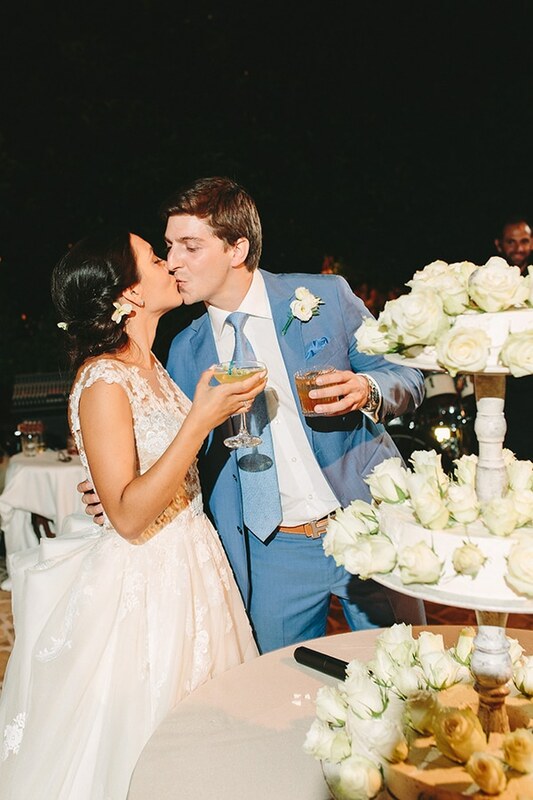 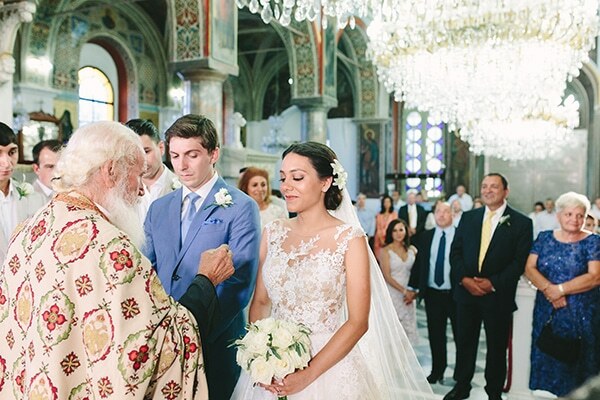 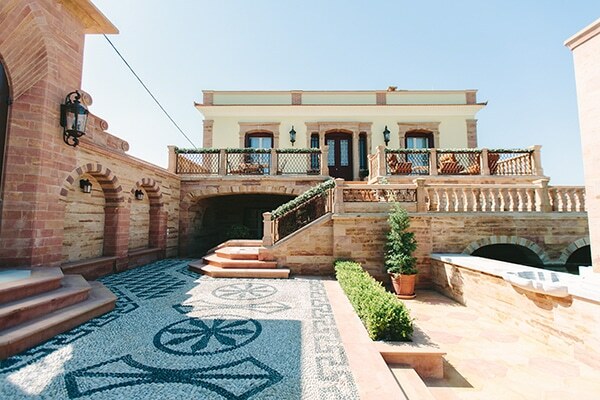 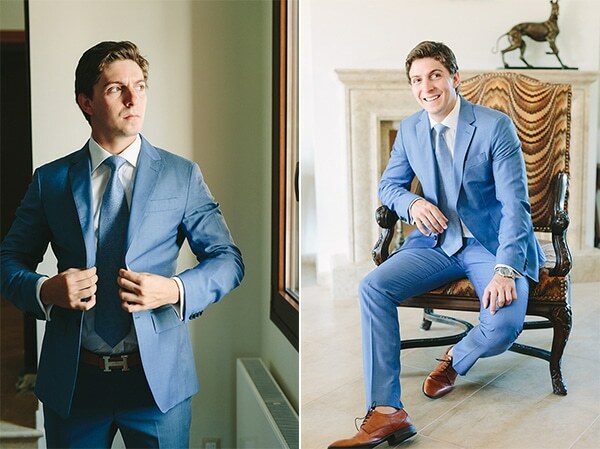 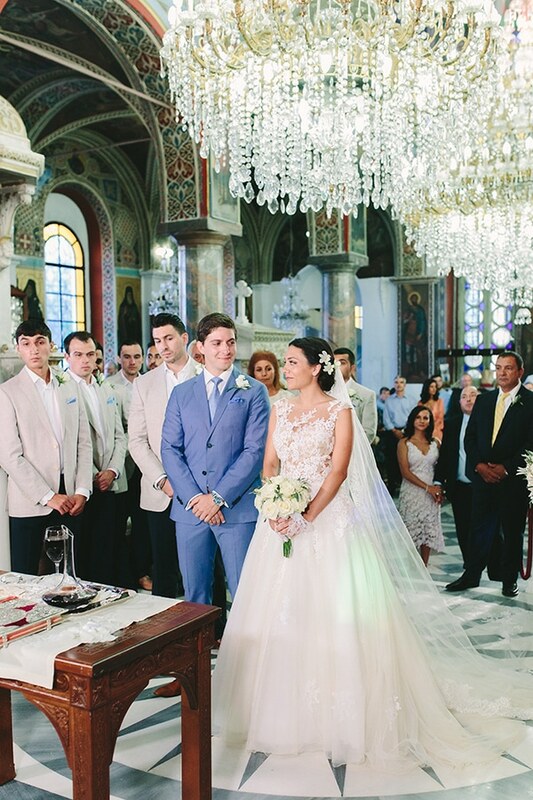 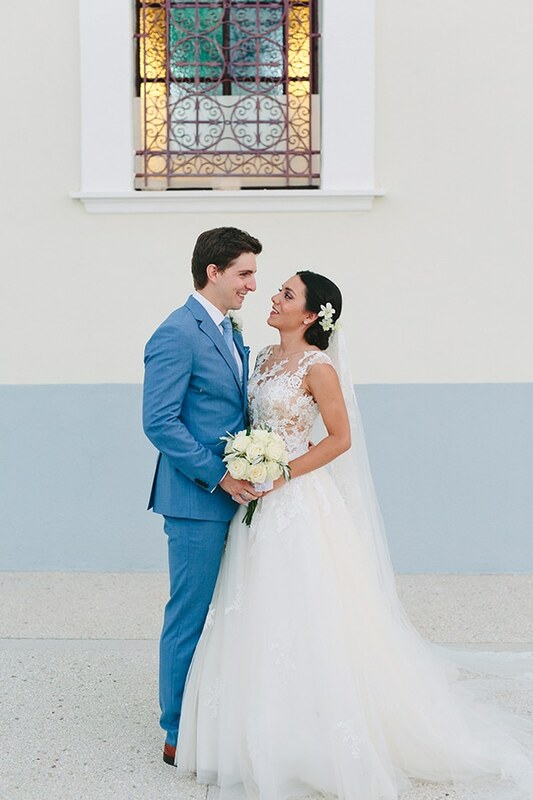 Ariana and Zannis created the perfect rustic wedding that combined elegance and romance. 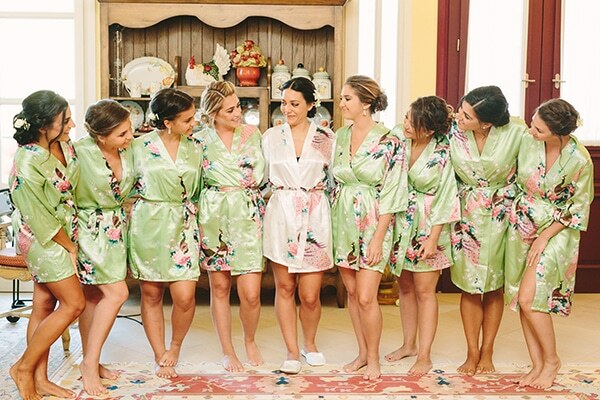 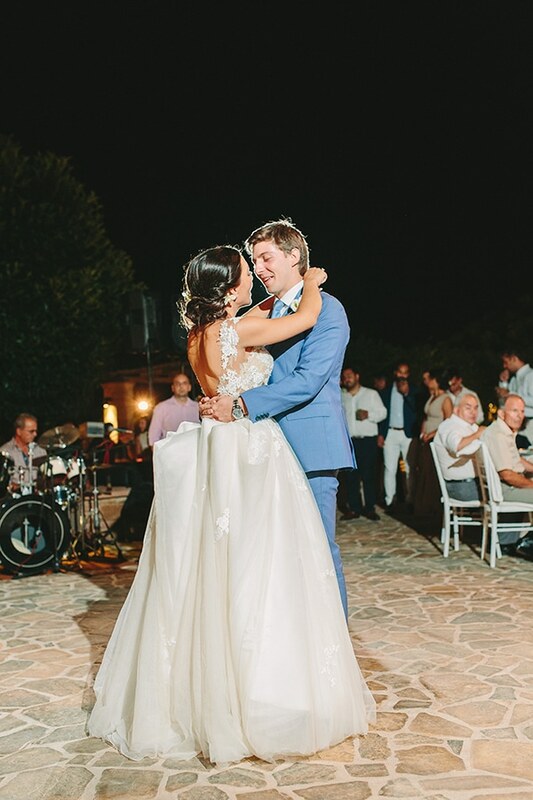 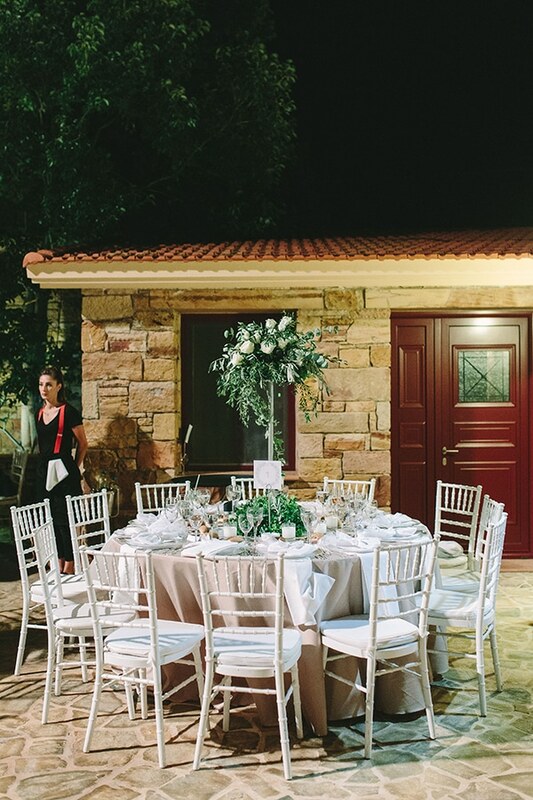 After the fairytale ceremony the beautiful couple and their guests enjoyed the night in a private villa, perfectly decorated with olive leaves and bouquets with white fresh flowers. 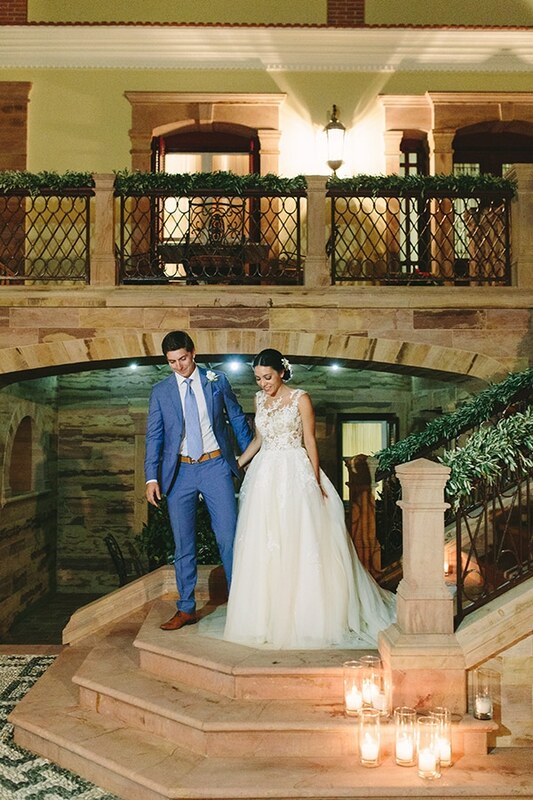 The lighting from the lamps and the candles were reflected in the pool water creating a magical, warm scene. 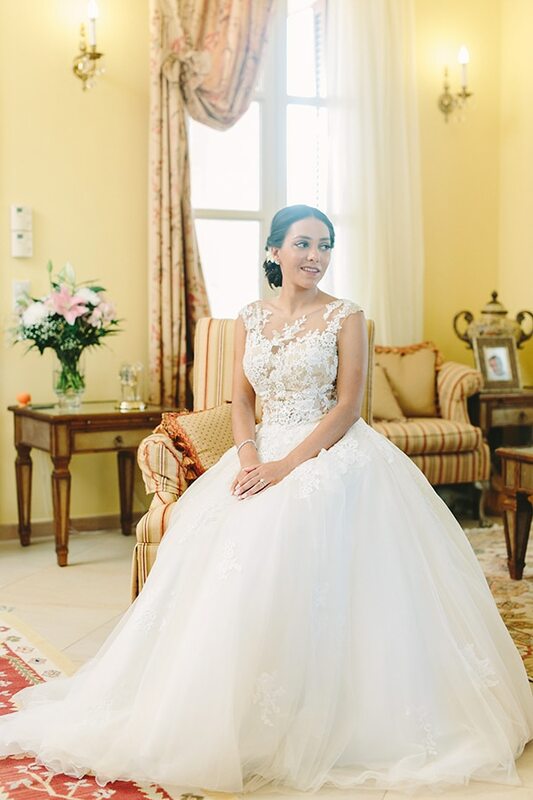 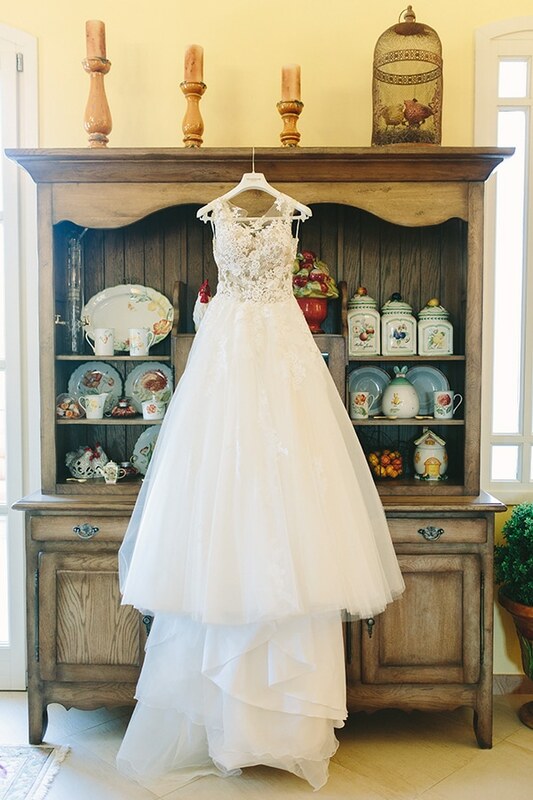 What to say about the impressive bride’s look… just like a princess! 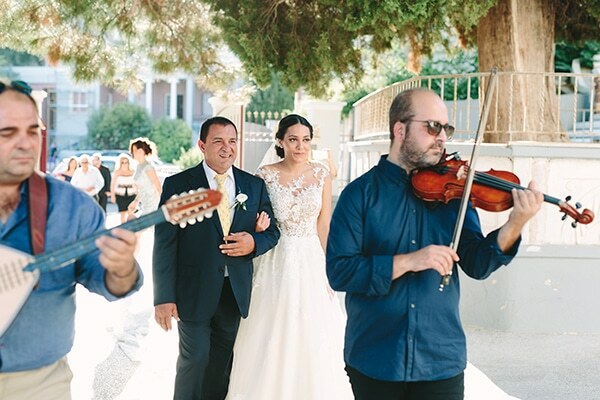 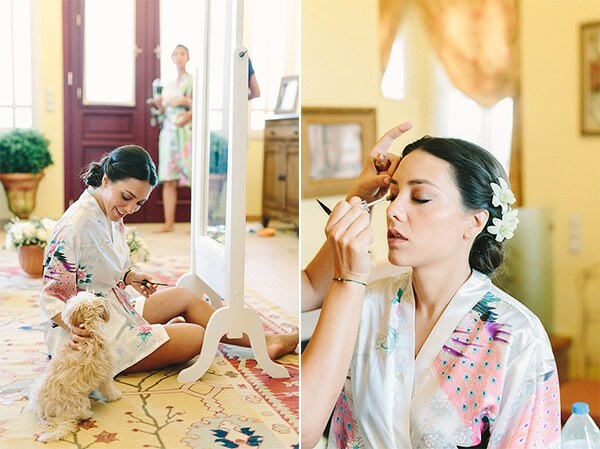 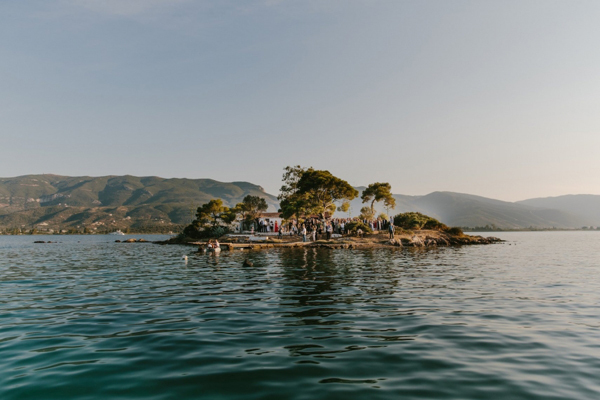 Scroll on to see some of our favorite moments captured by Vasilis Kouroupis!